The existence of the species should not be threatened. No unnecessary pain or cruelty should be inflicted. The killing should serve an important use. 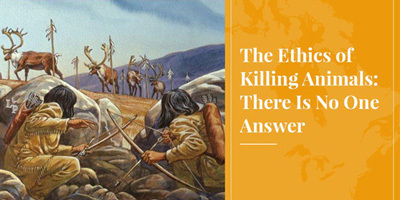 Let’s see how the North American fur trade stacks up when measured against these four widely accepted criteria. 1. The existence of the species should not be threatened. About half the furs produced in North America now come from farms, so no threat of extinction there. Furs taken from the wild, however, also come from abundant populations. Government-regulated trapping seasons ensure that we use only part of the surpluses produced each year in nature. Thanks to excellent national and international regulations, furbearing species that were once depleted in many areas have been restored. Biologists tell us that beavers in Canada are now as abundant as when Europeans first arrived in North America. Coyotes, foxes and raccoons are more abundant than they have ever been. This is a real environmental success story. 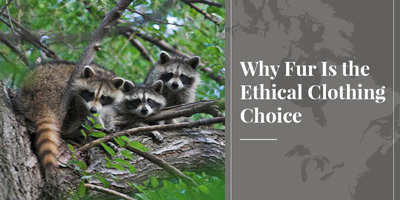 Bottom line, the modern, well-regulated fur trade satisfies our first ethical criterion: the furs used are abundant and the survival of wildlife species is not threatened. 2. No unnecessary pain or cruelty should be inflicted. This is the “animal welfare” argument. Most of us agree that humans have a right to use animals for food and other purposes, but only if we cause them as little suffering as possible. The modern fur trade takes this responsibility very seriously. North America is the world leader in scientific research to make trapping as humane as possible. This research provided the scientific protocols for ISO standards, Best Management Practices, and the Agreement on International Humane Trapping Standards. 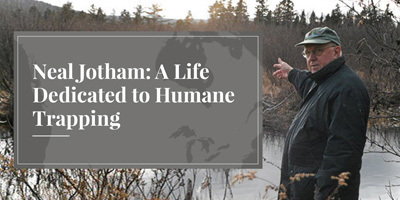 (See: “Neal Jotham – A Life Dedicated to Humane Trapping”) Based on this research, state and provincial wildlife authorities determine which traps may be used for each species. On fur farms, mink and foxes are provided with excellent nutrition and care; this is the only way to produce the high quality fur required to compete in international markets. Farms in the US are certified by Fur Commission USA while, in Canada, farmers follow codes of practice developed by the National Farm Animal Care Council. 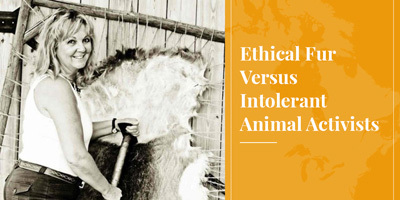 So the North American fur trade also satisfies our second ethical criterion: no unnecessary pain or cruelty is inflicted on fur animals in North America. 3. If animals are killed, they should serve an important use. Some claim that it is not ethical to kill animals for fur because “no one needs a fur coat today”. But is fur really a “frivolous luxury”? Humans need clothing to survive, and in many regions we need warm clothing. Of course there are other materials to keep us warm, but the best of them (wool, down, leather) also come from animals. Meanwhile, most synthetic fibers (including fake or “faux” fur) are derived from petroleum, a non-renewable resource, the extraction and transformation of which entails serious environmental risks. In many regions, wildlife populations must be culled annually to maintain healthy and stable populations, to preserve habitat, to protect endangered species (e.g., by culling predators that attack ground-nesting birds or sea turtle eggs), and to safe-guard human health, livestock and property. If furbearer populations must be culled, surely it is more ethical to use these animals than to discard them? 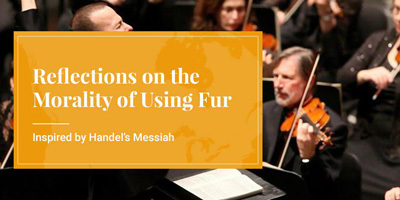 Not least important, fur apparel is remarkably long-lasting, can be worn “vintage” or taken apart and remodeled as styles change, and will eventually biodegrade – important environmental virtues. So, the modern fur trade satisfies our third ethical criterion: the animals serve important purposes. 4. If animals are killed, there should be a minimum of waste. Most North Americans eat meat, and therefore generally consider it ethical to use leather, a “by-product” that would otherwise be wasted. Fur, however, may seem more problematic if the rest of the animal is not used, as is often assumed. In fact, many wild furbearers (beaver, muskrat and other species) also provide food for First Nations and other people, especially in northern regions where cattle and other livestock cannot easily be raised. Furbearers not consumed by humans are returned to the bush where they are eaten by mice, birds and other animals. Nothing is wasted. Farmed mink and foxes are fed left-overs from our own food supply – the parts of chickens, pigs, fish and other animals that we don’t eat and might otherwise go into landfills. 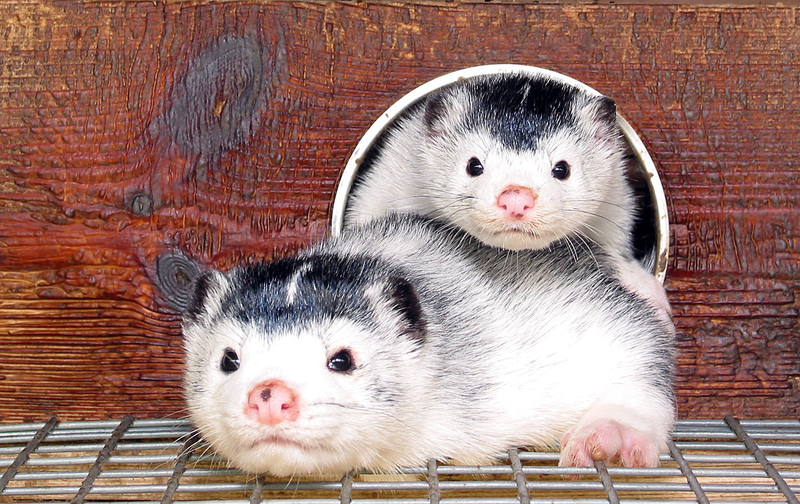 In addition to fur, farmed mink provide oil for cosmetics and the preservation of leather. Their manure, soiled straw bedding and carcasses are composted to produce organic fertilizers, to enrich the soil and produce more food, completing the agricultural nutrient cycle. Biofuels made from mink remains now power buses in Aarhus, Denmark, the world’s largest producer of farmed mink. Similar projects are being tested in North America. In summary, the modern North American fur trade satisfies all four of the criteria for the ethical use of animals.. Of course, this doesn’t mean that anyone is obliged to wear fur. Each one of us can make that decision for ourselves. Public opinion research has confirmed that about 80% of North Americans agree that “wearing fur should be a question of personal choice”.